Gregor began his career as a journalist after completing an Undergraduate degree in Politics and Postgraduate diploma in Broadcast Journalism. He made the switch to PR when he joined Big in 2014 and hasn’t looked back since. 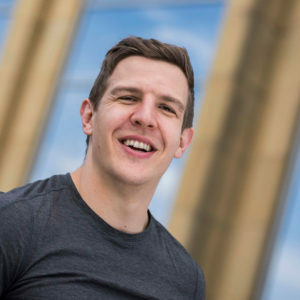 He has led a number of successful sport, consumer and corporate campaigns and has a wide-ranging portfolio of clients, which includes Scottish Rugby, the Royal Bank of Scotland Kiltwalk, Primestaff and Kelvinside Academy. He’s currently making the difficult decision of whether or not to hang up his rugby boots after a long playing career.